NetEnt, leading provider of digital gaming solutions, has continued its great start to 2018 after another lucky player secured a €4,084,430.35 jackpot while playing Mega Fortune Dreams progressive jackpot. The life-changing amount of money was won by a Sweden-based player whilst playing the progressive jackpot slot on Unibet casino. 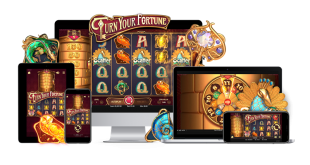 Mega Fortune Dreams progressive jackpot is a popular progressive jackpot slots game with players and has a global fan base. It is a 5-reel, 3-row, 20-line video slot featuring a triple progressive jackpot Bonus Game, which gives the players more chances to win big. This is NetEnt’s second multi-million euro jackpot in 2018 after one lucky player won €2.5m playing Mega Fortune™ in January. The jackpot was won on 7th March 2018 by the lucky player in Sweden. “At NetEnt, this is what we do: thrilling entertainment. 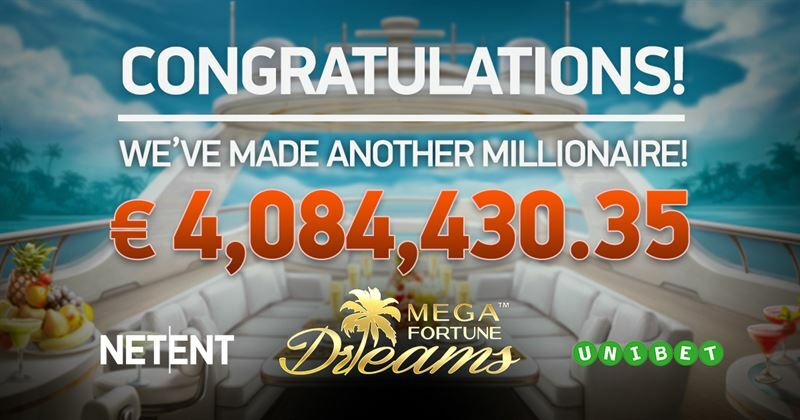 We’re delighted that Mega Fortune Dreams progressive jackpot has created yet another multi-millionaire.